Imaginative play benefits the growth of the cerebellum. This part of the brain is “responsible for key cognitive functions such as attention, language processing, sensing musical rhythms, and more” (Brown & Vaughan, 2009, p. 34). Here are five other benefits of imaginative play for children. 1. Play fosters the development of imagination. Imaginative play encourages children to be anything they want to be. This anything-goes thinking allows them to come up with ideas that they might not think about in a more structured environment. 2. It encourages the development of problem-solving skills. Problem solving requires the ability to think creatively. Imaginative play involves experimenting with different activities, such as building with blocks or sculpting with modeling clay (White, 2015). 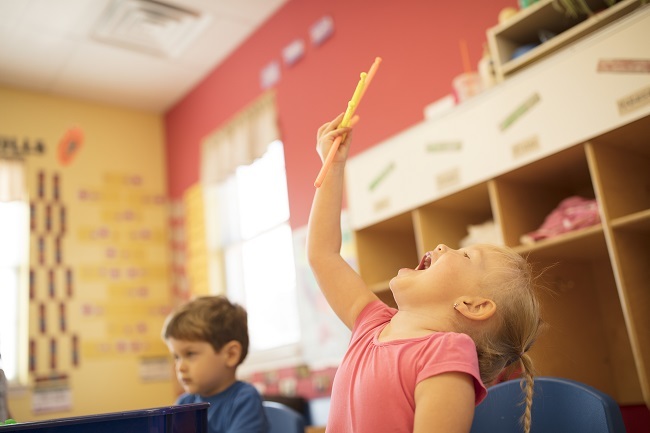 Engaging in these playful activities helps children become more creative, which gives them the ability to solve different problems (Roskos & Christie, 2000). 3. Play allows a child to fail without consequences. For example, when children play house, they imagine themselves as parents or spouses. They learn from those scenarios without dealing with negative consequences. Imaginative play, in other words, gives children the freedom to fail and try again without feeling defeated (Lillemyr, 2009). 4. It encourages social-emotional development. When pretending to be, say, a mother or a father, the child must imagine being in that person’s shoes. As a result, the child learns to interact and think about things as a parent, which helps the child become empathetic and practice language that is more in a parent’s vocabulary than a child’s. 5. It helps children unwind. Unstructured imaginative play gives children the opportunity to be in their own world for a while without worrying about anything except playing and having fun. Brown, S., & Vaughan, C. (2009). Play: How it shapes the brain, opens the imagination, and invigorates the soul. New York, NY: Avery. Lillemyr, O. F. (2009). 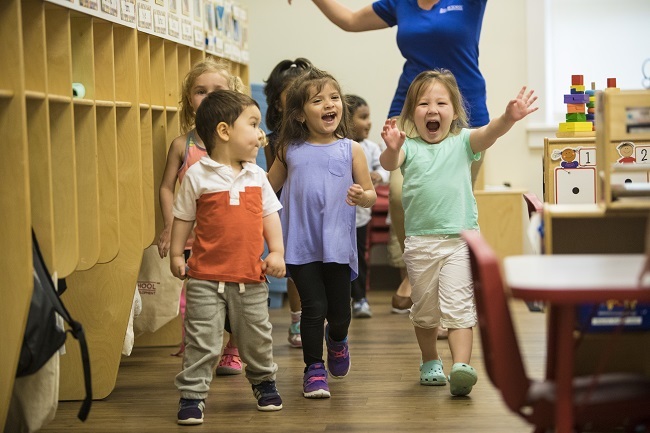 Taking play seriously: Children and play in early childhood education—An exciting challenge. Charlotte, NC: Information Age Publishing. Roskos, K. A., & Christie, J. F. (2000). 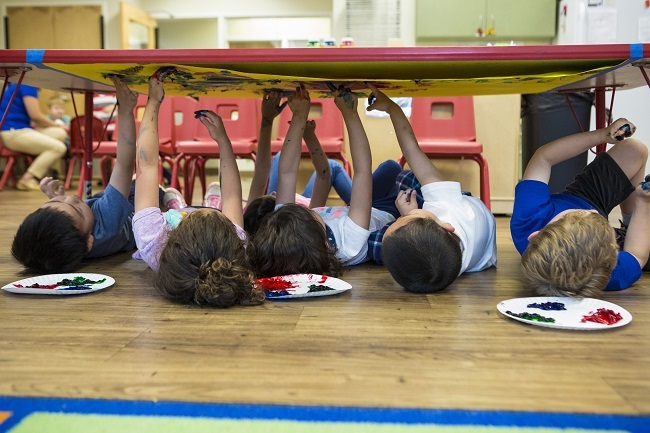 Play and literacy in early childhood: Research from multiple perspectives. Mahwah, NJ: Lawrence Erlbaum Associates. As you watch your little one playing, you may notice him chatting away to no one in particular. Do not be alarmed—imaginary friends are completely normal for toddlers and are an indication of your child’s ever-burgeoning creativity and social development. According to researchers, imaginary friends may appear due to a change in your child’s life, for example, a new sibling or a new home. 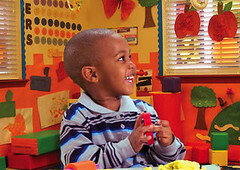 They could also be your child’s way of learning to express his emotions and understand roles and relationships. As a result, your child may blame his naughty behavior on his imaginary friend. Do not make a big deal out it. Simply explain to your child why the behavior is unacceptable. Allow your child to explore his relationship with his imaginary friend. In time he won’t need his “friend” anymore. Be sure to keep the “friend” in his world—not yours. If you acknowledge his imaginary friend as a “real” person, he may stick around a lot longer than necessary.